Foothills Fire Protection District (FFPD), covering 25.2 square miles in Jefferson County including the towns and areas of Apex Open Space Park, Bear Creek Canyon Open Space Park, Boettcher Mansion, Buffalo Bill’s Grave & Museum, Buffalo Heard Overlook, Cabrini, Cedar Lake, Chief Hosa, Clear Creek Canyon, Cody Park, Cold Springs Ranch, El Rancho, Elk Herd Enclosures, Evergreen, Genesee Park, Grapevine, Hidden Valley, Hogback, Idledale, Lair O’ the Bear, Lariat Loop, Lariat Trail, Lininger Mountain, Lookout Mountain, Lookout Mountain Nature Center, McCaslin Lake, Meadowlark, Mother Cabrini Shrine, Mount Morrison, Mount Vernon, Mount Vernon Canyon, North Woodside Open Space, Panorama Heights, Paradise Hills, Pepper Ridge, Rainbow Hills, Red Rocks Park, Rilliet Open Space, Riva Chase, Summit Ranch, Sunset Hills & Windy Saddle Open Space Park and nine miles of I-70. 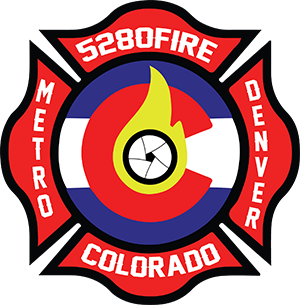 Foothills Fire Protection District was created January 1, 1997 with the consolidation of three fire districts: Mount Vernon Fire Protection District, Idledale Fire Protection District and Lookout Mountain Fire Protection District. 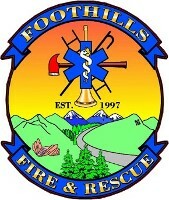 Foothills Fire Protection District is dispatched by Clear Creek County Sheriff’s Office Communication Center.